In the past I have mentioned some of Mark Klocek's games like Tri Tower Solitaire and Pyramid Solitaire Ancient Egypt. 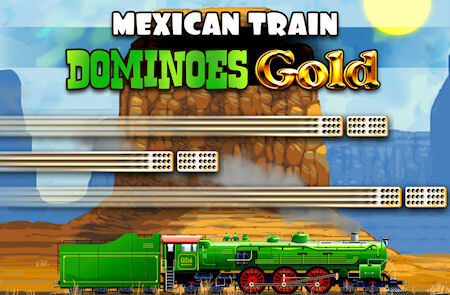 Now he has a brand new game called Mexican Train Dominoes Gold. You can play the game in a 3 player mode using Double 9 Dominoes or a 4 player mode using Double 12 Dominoes. There are 3 game types: Blitz (3 Rounds), Short (6 Rounds) and Full (10/13 Rounds respectively). Read the instructions before you start playing.